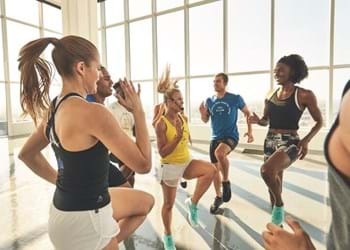 Group exercise has a huge impact on member retention at health clubs. It drives passion and loyalty among members the world over. It boosts attendance and member satisfaction. But only if you get it right. All of our 20 different programs are rooted in sports science. Results are fundamental to the Les Mills philosophy. 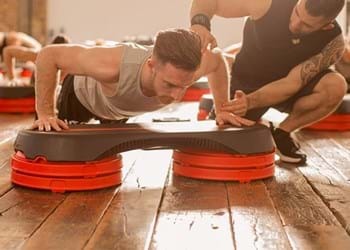 Get 24/7 online access to our world-leading marketing resources that will help you create a buzz around group fitness in your club. We provide a complete training solution for your instructors, including access to cutting-edge programs, education and workshops. Every single one of our customers benefits from a 360° support package designed to help them build stronger relationships with their members – and with it boost customer retention. That support package includes access to specialized fitness industry consultants who can work with you to help you achieve your business goals. Our step-by-step guides offer all the advice you need to effectively implement our group exercise programs. And our management tools and education provide invaluable insights that will give your business the competitive edge. When you partner with Les Mills, our workouts are only part of the picture. We offer a total 360° support package designed to help you boost retention and build stronger relationships with your members. Fill out this simple form so we can get to know you better.